Have you tried using essential oils for psoriasis? Many psoriasis sufferers find great benefit from using different oils, whether topically, internally or as part of aromatherapy. 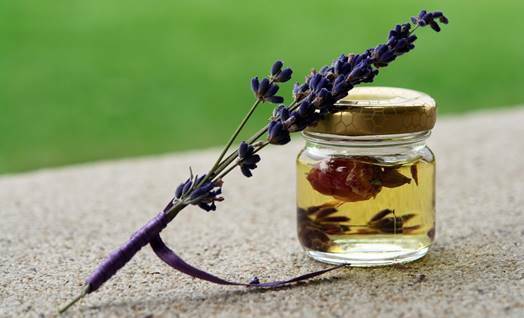 In the following post, we look at the top 25 essential oils that can help your psoriasis. When used in conjunction with a psoriasis diet plan and a balanced lifestyle, you can get immense value from these and can reduce the scale of your body and scalp psoriasis as well as moisturise your skin, leaving it feeling supple and flexible for up to 8 hours at a time. The biggest issue with psoriasis, other than the physical appearance that can lead to many emotional and self-confidence issues, is the actual discomfort of having large patches of dry skin all over your body. By using essential oils topically on your skin or in your bath, you are using natural home remedies that contain no adverse chemicals and leave your skin feeling comfortable while you go about your daily chores. So while essential oils on their own will not get rid of psoriasis, it will make your psoriasis more comfortable to live it. 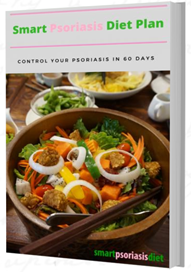 When you then use psoriasis essential oils in combination with a healthy diet plan, it can quicken the skin healing times. The following article will quickly explain what psoriasis is, what essential oils are and what at the best oils you can use (and why) in your treatment of psoriasis. Psoriasis is a common medical condition with over 7.5 million people in the United States alone diagnosed with it. It can affect people of all ages but is more common between the ages of 15 and 32. Psoriasis is an autoimmune condition that causes the skin to grow at an abnormally fast rate, causing raised, red scaly and silvery patches that are known as plaques. Although it is a chronic condition, using the best essential oils for psoriasis treatment can help you manage it. Natural treatments for psoriasis aim to get to the cause of the condition. For most people, when anti-inflammatory foods are combined with a psoriasis friendly diet, they help treat their psoriasis. Regular exercise and increased water intake. Essential oils are highly concentrated plant extracts that are usually a hundred times more powerful than the actual plant. Essential oils can be efficiently used for natural healing. These oils are obtained through distillation. Psoriasis And Essential Oils: Can You Use Oils To Treat Psoriasis? People have been using essential oils to treat the physical and emotional aspects of psoriasis. Still, few studies have explored their use as a possible treatment for psoriasis. Hence, you should only use them as a complementary therapy to your regular regimen. What Essential Oil Is Good For Psoriasis? Although coconut oil is not considered an essential oil, it contains anti-inflammatory properties that can help ease the pain caused by the psoriasis flare-ups. This oil can be taken internally or applied topically without any severe reactions. This oil is a potent resource for treating psoriasis among other skin ailments. Tea tree oil contains anti-fungal, anti-bacterial and anti-viral properties that help reduce inflammation and stimulate your immune system to improve your skin health. It helps to soothe dry skin and control the excess production of skin cells. It also has a deep penetrating power which aids in reducing and preventing the appearance of psoriasis scars. Although not an essential oil, Castor oil works to soften your skin, and speed up healing by moisturising dry, flaky skin. Applying it directly to your skin can help improve your immune function by increasing your disease-fighting lymphocyte cells and removing toxins. Lavender oil is known for its diverse range of therapeutic uses and mildly sweet, floral and herb-like scent that is both refreshing and calming. While it is often used to aid sleep and ease the symptoms of stress, this oil also contains potent antibacterial and antiseptic agents that can help manage your psoriasis symptoms. This oil helps to reduce inflammation, improve circulation and even to ease stress. It also promotes the growth and regeneration of healthy cells. Before applying it directly to your skin, make sure to dilute it using carrier oils to avoid any side effects such as adverse reactions. Jojoba is a carrier oil with excellent healing powers. It works as a moisturiser and helps to soothe and repair damaged skin. Evening primrose oil is rich in omega-6 essential fatty acids which help to reduce psoriasis inflammation, promote your general health, including that of your skin. This oil is believed to contain magical healing properties that energise the skin cells. It acts as a light counter-irritant that helps ease psoriatic irritation. Tamanu oil contains antibacterial, antifungal and anti-inflammatory properties that aid in treating psoriasis. It helps to reduce flare-ups. Peppermint oil is highly recommended for easing itching and pain around psoriasis patches. Argan oil is rich in Vitamin E, which is excellent for hydrating the skin. It also helps to reduce inflammation, protect your skin from the sun and improve your skin’s metabolism. It also contains antiseptic and anti-inflammatory properties which help to ease swelling, dryness, redness, and itchiness. Black seed oil contains antibacterial, anti-inflammatory, anthelmintic and anti-fungal properties. These help in soothing psorisinflammation and speeding up the skin’s healing process. It is also a great moisturiser and can even reduce scale thickness. This is one of the cure-oil essential oils that help to heal various skin conditions, including psoriasis. It contains antibacterial, anti-inflammatory, antiseptic, and antioxidant properties that help to treat and moisturise dry psoriasis patches. Juniper essential oil is effective in stimulating blood purification and blood circulation which are both critical for treating psoriasis. This oil can be inhaled, applied topically or diffused to treat psoriasis. However, pregnant women should avoid using juniper oil. This oil is beneficial in treating psoriasis. However, it should not be taken orally or applied before diluting it first. 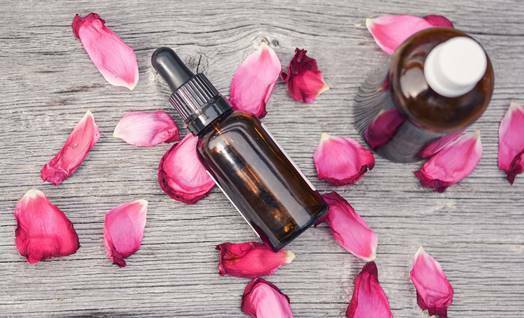 Rose oil contains highly soothing and calming properties, which ranks it among the best essential oils for psoriasis treatment. It contains antiseptic, anti-bacterial and anti-inflammatory properties. Always ensure that you dilute it before applying it to your skin. Being a highly toxic essential oil, thyme contains powerful anti-inflammatory and antiseptic properties that aid in treating psoriasis and other skin conditions. You can apply it directly or dilute it in any carrier oil before using it. However, Thyme oil is not recommended for pregnant women or people with high blood pressure. This essential oil contains antiseptic, skin smoothing properties and a fantastic skin healing capacity that helps heal the damaged skin tissues. It also has potent naturally occurring anti-inflammatory properties which make it perfect for treating psoriasis. This essential oil is useful for balancing emotions and immunity processing in the body. Sandalwood oil contains high levels of santalol, which makes it helpful in relieving inflammation. It can be diffused or applied topically to alleviate psoriasis. It is also great for moisturising and sealing the skin to protect it against infections and environmental irritants. Rosemary Oil contains antioxidants that prevent skin damage and offers support to the structure of your skin. This essential oil is highly effective in reducing inflammation of the skin and preventing infections. It also eliminates redness and swelling, which aids in removing the silvery caps of plaques. Bergamot oil helps to stimulate the growth of healthy cells to replace the dead ones that have accumulated on your skin. This one contains myristic acid, which helps to control the overgrowth of skin cells. It contains linoleic acid, which helps to restore the regular life cycle of the skin cells. It also prevents the uncontrolled expansion of skin cells. This oil contains considerable amounts of Gamma Linoleic acid, which helps to rejuvenate the facial skin and control psoriasis. When using essential oils for psoriasis, it is highly recommended that you mix them with a carrier oil. This is because essential oils can be extremely strong and may burn or irritate your skin if not properly diluted. 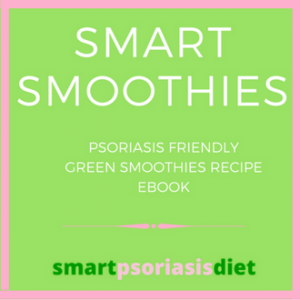 This recipe is recommended for those seeking to relieve the itching and the burning caused by psoriasis flare-ups. Although it makes your symptoms a little worse at first, it is a sign that the oils are stimulating detoxification. Place 1 cup of baking soda, 1 cup of oats and 1 cup of corn flour in a pop sock and tie it correctly. Add the pop sock along with a cup of ACV (apple cider vinegar) to your warm (not hot) water. Use this bath five times in a week to effectively soothe and heal your body. Mix 4 drops of Bergamot, four drops of Lavender, two drops of German Chamomile, a teaspoon of extra virgin olive oil, a teaspoon of jojoba oil, 1 cup of oats and 1/2 cup of Dead Sea salt. Place the mixture in a pop sock and securely tie it. Add the sock to your warm bath water and squeeze it regularly to ensure the spices dissolve and the oat milk is released into your water. Use this essential oil bath blend once or twice a week to help moisturize and soothe your skin. The oils and salts in the bath will also help prevent infections on your already cracked skin. 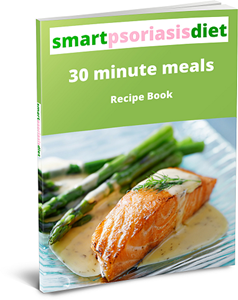 A healthy diet is crucial in treating psoriasis. 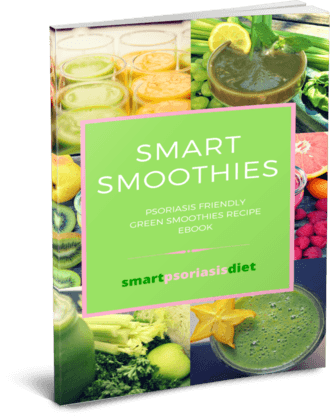 While there is little evidence that supports the notion that healthy food can help improve your psoriasis, many people claim to have found relief by changing what they eat. 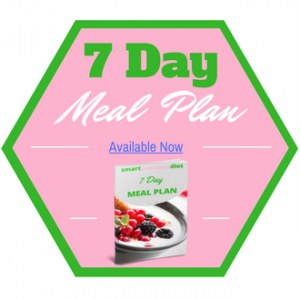 A change in diet enables you to drop excess weight, improve your cholesterol levels and blood sugar, which all impact on the health of your skin. There are also foods that seem to trigger a psoriasis flare-up. Hence, they should be avoided. 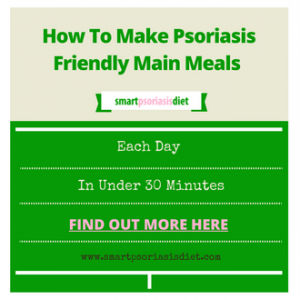 On the other hand there are psoriasis friendly foods and supplements that can help controlling this condition. Stress plays a significant part in psoriasis. Mind-body therapies and stress management can help in naturally healing your psoriasis. Some studies have shown that people who meditate before receiving light treatment have better results than those who have light therapy alone. Although it may sound simple, exercising more often and drinking plenty of water can effectively help treat psoriasis. Exercise helps to boost your immune system as well as fight inflammation which tends to make psoriasis worse. Also, staying active can help alleviate stress which causes your psoriatic symptoms to flare up. Vitamin D, also known as the sunshine vitamin can help to improve your psoriasis symptoms. This vitamin changes the way your skin cells grow. Since an excessive skin cell growth causes psoriasis, taking vitamin D can help regulate or even normalise your skin cell growth rate. 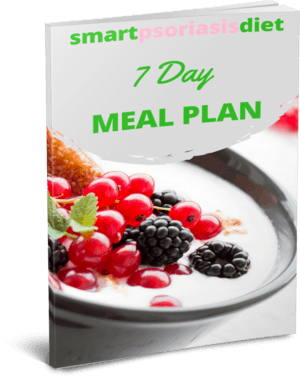 It can also aid in shifting the balance of your immune system’s function in the right way. Before using any essential oil for psoriasis, make sure to consult your health professional first. This is because each essential oil comes with its caution and interactions. And although they are all natural, some contain elements that can be particularly potent.